The following listings are examples of listings we currently have. We have listings being sold and new owners listing with us constantly. If you do not see what you are interested in, you can go to All Listings and see EVERY ACTIVE LISTING in Bluffton and on Hilton Head. Thank you. Have a nice day. 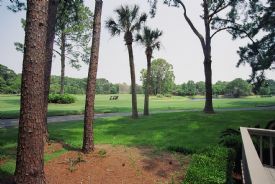 View: Golf and Intercoastal Waterway!! 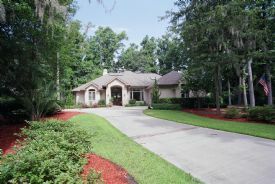 Great Spectacular Golf and Intercoastal Water Views!! See forever!! Almost New Condition this home offers everything in modern conveniences, high ceilings, hardwood floors, open kitchen, fireplace, huge deck, work out room, large master bedroom and bath, walkin closets and the guest room has wonderful views. Entertain on the oversize deck or enjoy family outings. This is the one you have been waiting on!! Call me today to see this home. Only a minute from the Island! Beautiful Remodeled Port Royal Home with Private Pool. Huge Sun Room and large bedrooms are the staple of this home. All on one floor and a large lot give you plenty of room to relax. 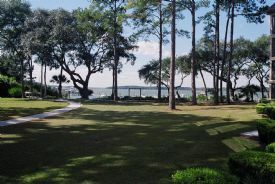 Port Royal is an oceanfront community with three great golf courses. New Kitchen, new carpet, new paint and updated bathrooms are just some of the upgrades on the home. Great home for the money. Nice lot, Nice Home and remodeled. Make sure to see this one!! What a LOCATION!!! Right beside the Clubhouse at Harbourtown Golf Links!! Walk to Harbourtown, go to the shops, restaurants, marina and bike to the beach!! Awesome rental home for the Heritage!! Remodeled Kitchen with Granite Countertops and Stainless Steel Appliances, new Carpet, new Furniture and MORE!! Once in a lifetime location and home for this price. You must show this one, do not miss out. Already booked a $12,000 net to owner rental for Heritage in 2006!! WOW!! 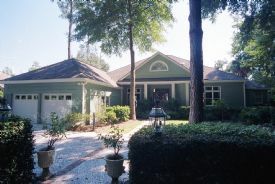 For the price of a condo in Sea Pines, you can own a home. 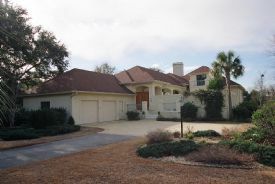 3 BR/ 3 BA Home with private deck on the #2 Tee Box on Harbour Town!! You can watch the Pros go by during the Heritage! Lots of glass to watch the golfers go by. 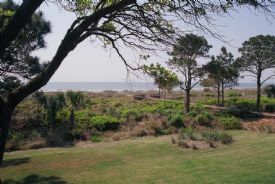 Walk to Harbour Town or bike to the World Class Beaches of Sea Pines. Great Rental Home or Primary home. Vaulted Ceiling in the Living Room and Fireplace to get cozy!! Nice Open Living Room and Dining Room with Golf Views. Watch the Golfers from the Kitchen. Remodeled and what a great location with Golf Course view and close to the Ocean. This home now has Granite Countertops, new appliances, new flooring, new paint, new furniture and more!! Great rental home near the ocean or great home to live in now. Move right in, the furniture is perfect for a rental or second home. This is one to make sure you go see now. Quality!! Views!! Location!! Price!! High Ceilings!! Granite Kitchen!! Decks to Enjoy the Views!! Golf, Water and Sunset Views!! New Home!! Large Home!! Huge Garage!! Fireplace!! Hardwood Floors!! Golf at Colleton River on Jack Nicklaus and Pete Dye World Class Courses!! Words just cannot describe the Quality and Views you get from this home!! You Must See Inside to see all that your money will buy!! Quality!! Views!! Location!! Price!! 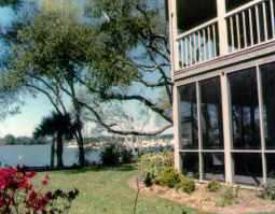 Direct Waterfront and Marshfront home with spectacular views. All the best of everything. Location, quality and size. Huge Screened in pool with Summer Kitchen. Vaulted Ceilings, Granite Kitchen with Stainless Steel Appliances, Open Kitchen with Fireplace in Family Room. High Quality Wood Floors in Living area. What a pool table and entertainment room upstairs to relax in. Great House to enjoy. Must see for all the Agents and clients in this price range. You could not duplicate for this price!! Very Cozy Unpretentious Home in Wexford!! Nature Lovers Delight!! Private!! Open Kitchen, Great Golf View, High Ceilings, Huge Master, Remodeled, Decorators Home, New Vanities and baths, Real Stucco, Outside Private Shower, Gas Fireplace, Home & Pest Warranty, Environmentally Cleaned-No Mold, New A/C in 4/04, New Appliances, Owner consider trade for Yacht or condo. Great Condition!! Go in To SEE the QUALITY!! DVD Video and Virtual Tour available. What a home!! Great Golf View!! Private Golf View, High Ceilings, Open Kitchen, Stereo throughout, Hurricane Electric Shutters ($25,000), Wall Pest Control, Reverse Osmosis, Built in TV over Fireplace, Speakers on patio, Formal Dining Room, Big Fireplace in Living Room, Eat in Kitchen, Very nice Master Suite, impeccable Landscaping, Great Curb Appeal. Ceiling Fans, Nice appliances in kitchen and more. Go see this one. Quartermaster have a great Lagoon view. Excellent condition. Open Kitchen with lots of cabinet and counter space. Dining area overlooks living room and view of lagoon. Den or office available. Three bedrooms on second floor with the master having a nice view of the lagoon. Large double vanity Master bath makes for comfortable living. 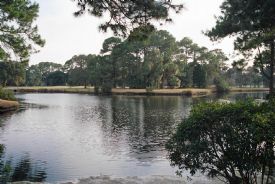 Nice location near the bridge and the Sea Pines circle. Fourth Row Ocean and on the Marsh, what a rare combination!! DVD Video available. Walk to the beach and enjoy great views all from the same home!! This spectacular home has a private pool, large deck to entertain on. An open kitchen and living room make for relaxed living. A formal dining area and formal living room give you quality living with a double sided fireplace. The formal living room has wood walls and built in cabinets. This home can be a three bedroom with den or a four bedroom. Video available on request. Very nice townhome in Spindle Lane with 2 BR/2 BA with loft, updated kitchen, hardwood floors, AC only 3 years old, lagoon views, see thru kitchen cabinets and nice lagoon views. Loft can be bedroom, office or den. Open kitchen, large master suite on main floor and enjoy all the amenities of Windmill Harbour. Best Price Spindle Lane. 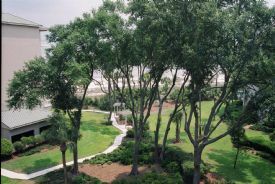 Windmill Harbour amenities include tennis courts, marina, community pool and security gate all minutes from Hilton Head beaches. 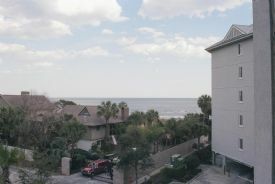 Best Priced 3 BR Ocean View Condo at Sea Crest! Buy now and use for the Summer! Great Ocean View, See Sunrises from your deck. Three Bedrooms and Three Baths make for great rental property or second home. Sold Furnished, Good condition and ready to use. Already has some rentals for the summer. Best buy in Sea Crest for a Three Bedroom condo. This is the deal! Time to Buy!! 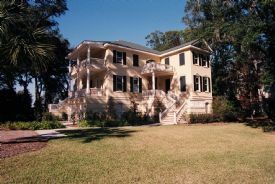 What a rare chance to live in this exquisite residence at Ribaut Island in Beaufort, SC. What a grand entrance with Vaulted Ceilings in the Living Room with views all the way to deepwater. Oversize Kitchen with granite and custom cabinets make entertaining and dinner a breeze. Hardwood floors thru out living area make cleaning a breeze. Large outdoor deck with great views to enjoy. Master Suite has a sun room and fireplace. The big master bath includes hot tub, glass shower, granite counter tops and custom cabinets. Three bedrooms and three baths allow you to invite guests or family to visit. This condo is on Silent Auction until September 24, 2007. Please contact Robert Young at 843-384-7253 for more information and to view the property. 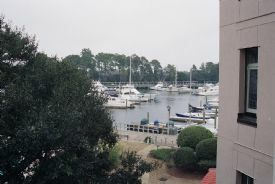 Direct Oceanfront Condo in Admirals Row. The nicest building in the Hilton Head Beach and Tennis Complex. 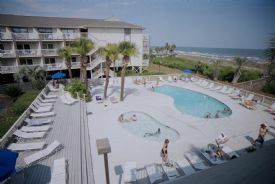 On site pool and direct oceanfront views make this a great vacation. One of the nicest condos at Admirals Row, this condo has been updated to include a full size refrigerator, microwave, dishwasher, stove, Plasma TV, VCR and DVD player. There is a TV in the bedroom to relax and watch TV. Two bunks beds make for a fun vacation for the kids. A fold out couch in the Living room allows you to bring a total of six people. 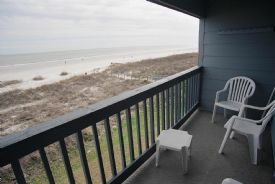 Watch the Sun rise out of the Ocean and the Dolphins play in the water from your Oceanfront Deck!! Walk down to the beach and play in the water and sand until your day is complete!! Fly a kite or catch dinner in the ocean!! What a great vacation. 30 Golf Courses, 200 restaurants and shop until you drop on Hilton Head!! Great Vacation on Hilton Head Island. See this one now. 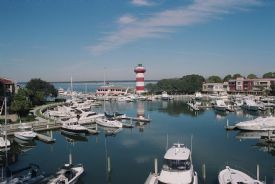 Great time to buy on Hilton Head!! Awesome unobstructed view from this condo!! Great end unit with extra windows!! Nice view from the Master Bedroom, Living Room and Kitchen. Open Kitchen and Living Room with Screened in Porch to relax and enjoy the view!! Walk down and enjoy the dolphins in the water or sit in your condo and enjoy the sunsets!! 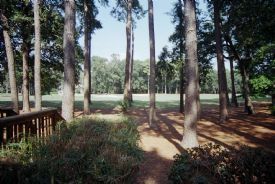 Walk to Country Club of Hilton Head and right near many waterfront restaurants!! Nice condo with a great view! !New Paint and New Carpet and New Granite Countertops are installed!! This is one to put on the list to see!! Awesome views! End Unit!! Direct Oceanfront!! Unbelievable! GRANITE! !MARBLE FLOORS! DOUBLE FRENCH DOORS!! CUSTOM CABINETS! SUPER KITCHEN! PLASMA TV! CROWN MOLDING! Textured Ceiling! DIRECT Oceanfront! Price includes, New Furniture, new carpet, new paint, new MARBLE in hallway, kitchen, New toilet, new vanity in the bathroom and new washer and dryer! Watch the sunrise and the Moon over the ocean! Rents Great! 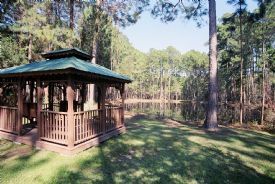 Right Beside Coligny, shops, restaurants and bars! Best Breakers Ever!! Owner is SCRE Agent. You must see this one!! This is the Nicest Breakers Ever!! This one will not last long!! This is the favorite floor plan in all of Grandview. This one has water views. The owners have stepped this one up a notch. They added more marble, more trim, new cabinets and more shelves. This condo has three bedrooms with all of them having waterviews. The Master Bedroom has four closets and a HUGE Master Bath. You have two decks on this condo, one off the Master and one off the Living Room. This is the favorite Kitchen for everyone, huge, open, lots of Granite. Sunset and Water Views! Wow!! What a bang for your buck!! Plasma TV's, New Hardwood Floors, New Marble in Entrance and Bath, New Cabinets and Countertops in Kitchen, New Toilet, Polished Tub, New Vanity, New Carpet in Bedrooms, New Furniture Throughout, New Dining Room Table, New Foldout Couch, New TV cabinet, New Bedroom sets, Bunk Beds for Kids, New Dressers, New Appliances, New Ceiling Fans, New Tile on the Deck, New AC Unit and vents, New Electrical Outlets, New Everything!! What a price to be this close to the beach and have it all new!! Get this one quick!! Call to see it. WOW!! This is the World Famous Harbourtown Lighthouse out your window in every room!! 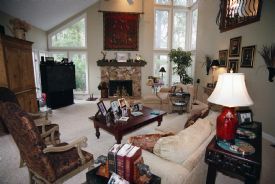 RARE Two Story Townhome Penthouse at Harbourtown in Sea Pines. All new paint, new carpet, new furniture and more!! If you saw it before, it is even better now!! Calibogue Sound, Sunsets, Yachts, Shops and Restaurants all at your feet. Walk to Harbourtown Golf Links, park your Yacht at your door and enjoy the finest the World has to offer. 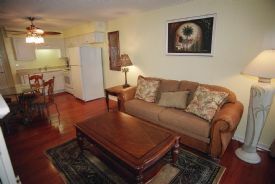 This condo is totally remodeled and exquisitely furnished. There were only a select few made like this and now is the time this one can be yours. Please make sure to see!! 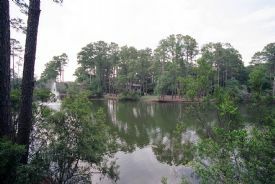 For the discriminating buyer - Palmetto Commons� is a Condo conversion with only 64 remodeled villas that have Golf/Wooded/Lagoon and Pool Views located on Hilton Head Island. 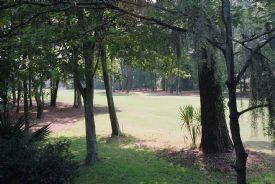 Residents of Palmetto Commons live beside Hilton Head Hospital, minutes to shopping, dining and Hilton Head Schools. Reilley�s, Sams, Wal Mart and all the shops of Main Street are all close by. The amenities include a new Fitness Center, new Activities Room, updated Pool facilitie, Tennis Court and Gazebo overlooking the private lagoon. This Two Bedroom Condo is remodeled to include New Bathroom Vanities, New Toilets, Recoated Tubs, New Electrical outlets, New AC unit, New Door Handles, New Carpet, New Hardwood Floors, New Appliances, including Washer and Dryer and New Paint. 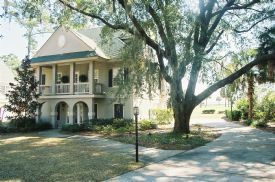 The Condos is approximately 1,000 square feet with great bedroom separation, walk in closet, open Kitchen and Deck overlooking the Palmetto Hall Golf Course. The ultimate in Condo Living!! Phase I: Buy AS IS NOW ONLY $189,000!!! This is one to show!! Very nice view of the Golf Course and Nicely Remdodeled Harbour Master!! One of the Largest Two Bedrooms ever built in Harbour Master!! Extra Den makes a HUGE difference. End Condo with extra windows. This is the BEST Priced and Best Quality you can get with this kind of view. Live in Shipyard Plantation with Beach Access, Great Golf Course and access to Pope Avenue and Highway 278 without going on the Traffic Circle!! Move quickly, this one is priced right!!! Nice Two Story Cottage Style Townhome. Great Golf View!! Bike to beach, golf course and the Crowne Plaza. Well Appointed and nicely furnished. Open Floor Plan and End Unit. Lots of windows and glass for views and light. Brand New Appliances in the condo. Pool and Tennis Court are on site in the complex. Nice furniture, great wood floors for a great second home, rental or permanent living. The Best View for the Money in Sea Crest!! Fabulous condition two bedroom and two bath condo with third floor view!!! Great Rental condo with lockout potential. Rent one side and stay on the other. 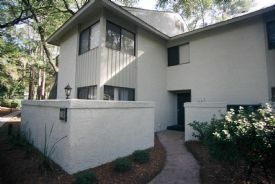 Great location near the Coligny, health club and pool on site! Pool Bar and Deli make it convenient at the pool for drinks and food. Location!! Location!! and Location!! Quality tops it all off. View: Ocean Front Three Bedroom VIP!! Totally Remodeled to a VIP Condo. 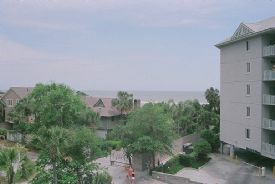 One of the LARGEST OCEANFRONT CONDOS on Hilton Head!! Oversize outdoor Rooftop Deck, Large Living Room, Dining Room with a view, Gigantic Master Suite with private Deck, New Granite, New Cabinets, New Furniture, New Flooring throughout, New Paint, New Vanities and MORE!!! You could live in this one it is so BIG!! Great view and Great Rental. Fabulous floor plan, Two Bedroom with a den, Huge Living Room. All open, see the water from every room!! Large outdoor covered deck that you can screen in to make more usable year round. Watch the sunset for the rest of your life from anywhere in the condo. Walk to your boat, walk to the golf course, tennis courts of CCHH, four waterfront restaurants within one mile of the condo. Covered assigned parking with storage unit for each condo. 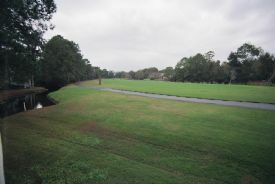 The property is located inside HH PLantation. The luxury of a home without the maintenance of a home!! This is perfection!! 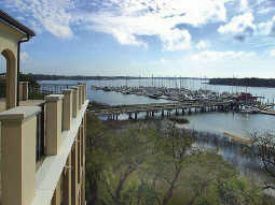 Beachwalk condos in Shipyard are the closest to the beach of any property, home or condo, in Shipyard. They are the best rental properties in Shipyard because of the location. They are one, two or three bedroom condos. Beachwalk are flats or townhomes. Some have great golf views. The prices will range from $525,000 to $625,000. Contact me for inventory, they move VERY QUICKLY!! 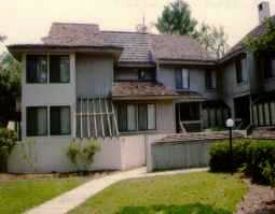 The Cottages were built in 1985, but in the last several years were completely remodeled on the outside. They are two to three bedrooms flats and townhomes. The square footage ranges from 1200 to almost 1400. Prices range from $320,000 to $450,000. You park right in front so it feels like a home. Some have wonderful lagoon and golf views. Good rentals, first or second homes. Look nice. Contact me for inventory, changes quickly. 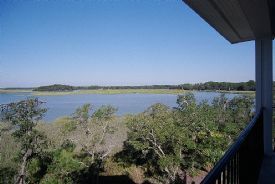 The Inland Harbour Villas in Sea Pines are perfectly located between Harbourtown and the Ocean. You can bike to both amenities. They are townhomes with nice views and great floor plans. They are very good rentals because of the location. Inland Harbour Villas are two and three bedrooms ranging in price. The three bedrooms can run $400,000 and up. The inventory changes constantly, contact me for current listings. 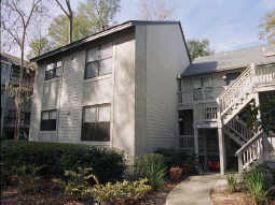 Lawton Woods Villas are two or three bedroom condos with two or three bathrooms. You can walk to the beach!! Could be a great second home. Carolina room has lots of windows to enjoy the lagoon and golf view. Open kitchen overlooks Carolina room and the view. Get these while you can. Contact me for current inventory. The prices will range from $500,000 and up. They move fast. 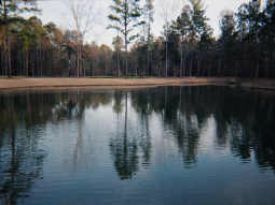 Indian Springs Condos offer great views and great location. 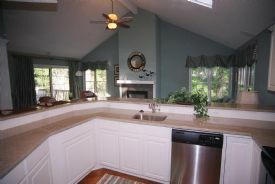 They have it all, great views and screened porch with outside deck. Very large condo with all the extras. Many have remodeled kitchens, remodeled master bath, three bedrooms, HUGE Master suite and everything overlooks the water!! Enjoy sunsets, boating, fishing, golfing what a location!! Call and see this one today!! Contact me for current inventory as this one is sold and these move quickly because of being on the water. One Bedroom and Two bath Hampton Place. Great Rental Property or Second Home. Nice Ocean View. Open floor plan with views from everywhere. Large Master suite with hot tub in Master Bath. Great condition. This is one to see. Decorated very nicely. Get this one before the price moves up!! Rented all summer. Call to see. This one is sold, call or email for inventory and I can email you pictures of the listing. Great location!!! Shorewood is an oceanfront complex with spectacular oceanviews from almost all of the condos. 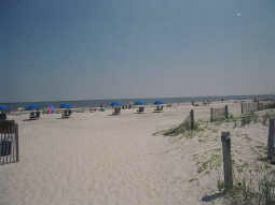 Located in Forest Beach, walking distance to Coligny Plaza, Shorewood are great oceanfront rentals. You can buy two or three bedrooms. The prices start at $850,000 and up. Many of these are sold furnished and have great rental histories. The pictures give you an example of what they look like. Contact me and I will send you the current inventory as they sell very quickly. EVERY ROOM has a WATER VIEW!!! 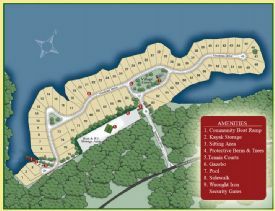 Brand new waterfront condominium community w/ top of the line appointments & spectacular views!!! This 2100 sq ft. condo overlooks the Skull Creek, Pool and Marsh. Nice views from every room. Over 1200 sq ft of deck make this condo over 3300 sq ft on one floor! 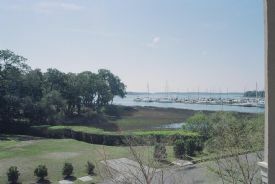 !Intracoastal access, walk to Country Club of Hilton Head & restaurants.Enjoy endless waterviews. Like yachting? Golfing? Fine Dining? You'll love Grandview. 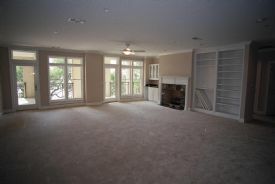 Fabulous 3BDR,3.5BA unit w/ wood flooring, custom kitchen w/granite. Marble bath suite & priceless views! This is the best view of the whole property. This one will not last!! Video of property is available on request. 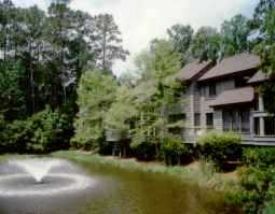 Treetops condos are located in the Forest Beach area within walking distance to the beach. The exterior was recently redone, making them look like brand new. These are great second homes, rental properties or starter properties. They are flats or townhomes and have two and three bedroom floor plans. They are in a great location. Some have been remodeled with new appliances. Some are sold furnished. Call or email me and I will get you current inventory. Prices will range from $140,000 to $170,000. The pictures are examples of ones I have sold. Great Harbour view!! Good short term rental. Comes completely furnished. Turnkey property. Go see this one!! Best Price Yacht Club on the Market!! Get this one before it is gone!! There are several on the market now from $750,000 and up. Call for inventory. View: Point Lot!! Awesome Point Lot, Great Views!! Pictures cannot describe the view from your deck. You can see Lake Lure, Fairfield Mountains Golf Course, Chimney Rock and Bald Mountain!! Sunsets over the Mountain. What more can you ask for. Fairfield Mountains is only 45 minutes to Asheville, NC and has two great mountain golf courses, restaurants, bar, shops, marina, pool complex, putt putt for the kids and relaxing mountain streams to fish or wade in!! 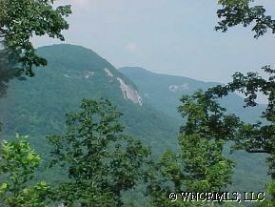 Enjoy the mountains and only hours from Hilton Head. You can be there and relax in the Mountains and then come back to the beach. Awesome Views and Great Golf and Lake Resort. Call me at 843-384-7253 for info and more pictures. View: Waterfront!! Deepwater!! See Forever!! Waterfront!! Shull Island!! Spectacular LONG Distant Views!! Priceless!! See FOREVER!!! 15 Minutes to Lexington!! RARE opportunity!! Paved Roads. The lot is perked for 3,000 or larger sq. ft., 3 BR homes. 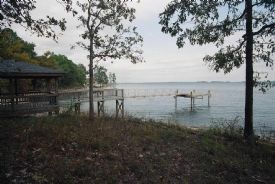 The lot is approximately .45 acre with 125 foot of waterfrontage and 80 feet of road frontage. Own to the Water!! Compare to any other area, this is a GREAT buy. Please call me at 843-384-7253 or email me at hiltonheadrealty@aol.com for more questions or pictures. Community boat ramp for Shull Island, only minutes to Marina by boat, minutes to Lexington by car and enjoy Mallard Bay for skiing and fishing. What a location! Quality new homes being built on Shull Island. Call me soon, I am raising the price come summer time! Best Lagoon/Golf lot for the money in Oldfield. If you want a great view, you must see this one!! New houses being built on this street. Have you seen what Oldfield offers lately? Greg Norman Golf, Superior health club and Sports Facility, Great Pool and play area for kids, Totally Remodeled River Club, Kayaking and boat rentals on the water, Dine overlooking the water and more!! Look at the new pictures of all Oldfield offers and then go look at this lot!! Pictures are of all the amenities, sports center, marina area, golf course and more!! 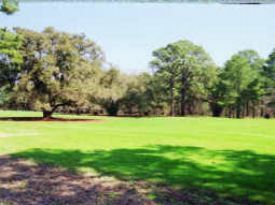 FULL SIZE LOT ON THE 11TH HOLE OF THE EAST COURSE.WITH MATURE HARDWOODS,AND A VIEW OF SPECIMEN LIVE OAKS,AND A BEAUTIFUL FAIRWAY VIEW.ON OPPOSITE SIDE OF FAIRWAY FROM PATH BEAUTIFUL FULL SIZE LOT ON 11 EAST. 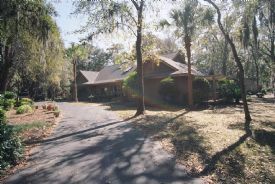 Owner is SC Real Estate agent and will consider trades for other property on Island.